Getting a small business off the ground is anything but easy. In fact, you most likely invested much blood, sweat and tears into your venture before finally acquiring customers and earning a profit. It can, therefore, be heartbreaking for a cyberattack to destroy your business after downloading a harmful file or clicking on a malicious link. If you want to shield your operations, finances, and reputation, you must read these tips on how to protect your small business from cybercrime. According to the Association of Certified Fraud Examiners, businesses with less than 100 employees lose approximately $150,000 per year due to online fraud. If you want to ensure you don’t become apart of this statistic, you must create strong, unique passwords to protect your emails, online banking systems and internal databases. Also, ensure you do not use the same password for every account, because a cybercriminal could potentially gain access to all your accounts, as a result. Many small business owners believe they are not vulnerable to threats, as they assume hackers will target bigger, more established competitors. However, it has been reported that almost half of all cybercrime affects small companies. Yet 90% do not use any form of data protection for their information. That’s why it is essential to have a data recovery plan in place should the worst happen. For example, you must backup all critical documents to ensure you can quickly gain access to your files. What’s more, you should have the number for SecureDataRecovery.com at the ready, so you could recover any sensitive information following any form of data loss disaster. A lack of online security could leave your business vulnerable to a cyberattack. If you want to ensure you are never forced to contend with a harmful virus or malware software, you must protect your infrastructure at all times. For example, you must invest in a firewall program, anti-virus software, and spyware and malware detection programs. Disk encryption technology can effectively protect various forms of sensitive data, such as a Social Security number. It can prevent unauthorized access by converting the information into an unreadable code, so a cybercriminal could not gain access to the sensitive data. It’s also vital that a business never locally stores financial information unless necessary, which could easily fall into a hacker’s hands. It is likely either you or your employees will have needed to use a public network when traveling on business or attending a client meeting. For instance, you might have needed to check your emails or access a document in the cloud when staying in a hotel. However, a public internet connection can pose a risk to any sensitive data stored on your computer. Unless absolutely necessary, you should not use an open Wi-Fi network, and you must encourage your team not to do so, either. If necessary, use a virtual private network (VPN) to secure every internet connection and the data sent between the computers on the same network but in a separate physical location. 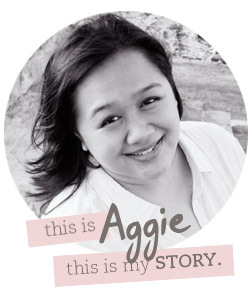 Aggie Aviso describes herself as her family’s storyteller and memory keeper. A mom to two kids ages 14 and 8, she is certainly past the age of sleepless nights and adorable pigtails. However, motherhood stays exciting, more meaningful and yes, more challenging. She takes it all in stride, knowing fully well that moments pass by in a blink of an eye. As Gretchen Rubin famously said, “The days are long, but the years are short.” She has discovered how wonderful it is to have those fleeting moments in time documented in their family books and has made it her personal mission and passion to be able to tell their stories for her future grandkids. You can read more about her here.. Subscribe to blog updates and the occasional letter here. I'm Aggie and I'm a writer, storyteller and memory keeper. I like creative stuff. I plan creative projects, and try to do it consistently. 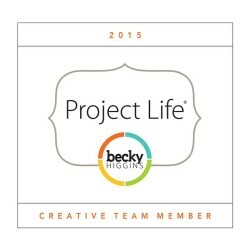 Receive updates from me right through your email inbox! © 2018. All Rights Reserved. Agatha Aviso | Content Creator and Strategist.